Fake grass increases leisure time, and these BBQ tips for artificial grass yards from Watersavers Turf can make that time safer, too. People who have synthetic turf in their yards have more time for fun things like outdoor grilling. Depending on where they live, some of them can enjoy their yards all year long. If you cook out a lot, you’ll want to know these BBQ tips for artificial grass yards. 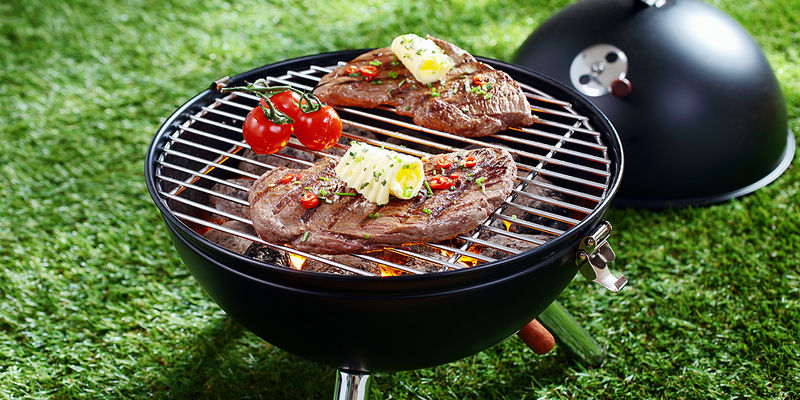 Even if your use of an outdoor grill is limited, they are important for you to be aware of. The man-made turf products people use today are fire retardant, but very high heat and very hot items can damage them. So before you test out your new grilling recipes, find out what are the basic BBQ tips for artificial grass yards. You’ll be able to enjoy your outdoor meals and gatherings much more when you’re not worried about having a mishap with your trusty grill. Isn’t one of the reasons you chose to use synthetic sod was to have more time for fun? Knowing how to safely enjoy both your outdoor grill and your grass will ensure that your yard will always be a place for fun and relaxation. All safety tips for barbecues and artificial grass need, to begin with where your grill is located. One thing that you don’t want to do is to have it standing directly on your synthetic turf. You will want to protect your turf from hot coals, hot grease, and hot, sticky sauces. You don’t have to baby your turf, but you do want to guard against damaging it. So, some of the best safety tips for barbecues and artificial grass are ideas for placing the grill. If you have a concrete or brick patio area, use that. If you don’t have an area life this, plan to make one. It doesn’t need to be fancy or costly; it just needs to be a level area where you can safely place the grill. As with all safety tips for barbecues and artificial grass, it’s mostly about using common sense. Your outdoor BBQ area should be large enough to catch anything that drops from the grill. Once you’ve located or created the pad for your grill, take a look around. Make sure that there is nothing nearby that could be a hazard. This could include things like propane tanks or plastic containers. Some BBQ safety tips for synthetic turf are all about the grill. Nobody likes to do this, but it’s smart to clean it after each use. Not only will this make it last longer, but the food that you cook on it will taste better, too. Built up grease doesn’t add flavor to your BBQ foods. It can also clog up the burners on your grill. Also, if it tips over for any reason, old grease and oil won’t get all over the place. You’ll also want to keep it from being used right near your home or any outside buildings you have. If you have awnings or canopies in your yard, make sure that they are not too close to your grilling area. Hot embers and high heat can damage them, just as they can damage your synthetic grass. Covering your grill when you are not tending to it is also a good idea. Not only will it help when you are using it but when it is in storage, this will keep it free from leaves, yard debris, and bugs. It will also help to stop visits from other outdoor critters. Easy living is why many people choose to have man-made grass in their yards. They want to spend more time on fun things like barbecues and less on yard chores. Some enjoy outdoor living so much that they take their grilling to a new level with outdoor kitchens. For many people, a man-made turf yard that is pretty, carefree and topped off with an outdoor kitchen is a dream come true. Of course, you can spend a lot on a fully equipped outdoor cooking area. However, you can save a lot by using fake grass instead of real. You won’t have the cost of keeping it watered. You don’t need to hire a lawn service to take care of it. Plus you won’t need expensive lawn equipment for taking care of it yourself. Most of those who decide to use synthetic turf in their yards see it as investing in their lifestyle. They want to spend their free time doing other things, even if it’s just grilling and chilling out in their yards. At Watersavers Turf, we like to make things like getting the best artificial turf price easier. So, if you want to learn more about our cost-effective turf products, we are happy to provide free estimates. If there are other things that you’d like to know about using plastic grass, just call us at 844-974-8873 and ask us. Our synthetic turf pros can answer all of your questions, or you can chat with us online anytime. We have over 60 different types of product and offer free 1’ x 1’ samples at all our SF Bay Area locations. You’ll be able to take them home and find out what works best for you. Maybe you’re looking for some new ideas. Check out our online gallery for a look at what others have created with our lush and realistic artificial turf products. You can have a yard that is easy to care for and always looks great! All you need are the right products and good advice, which Watersavers Turf will be glad to provide to you.